Added on April 6, 2013 by Carolyn Van Houten. More than 2,500 students celebrate spring by throwing colors in the air at the annual Holi Moli event on Polk Place at UNC Chapel Hill's campus on April 5, 2013. 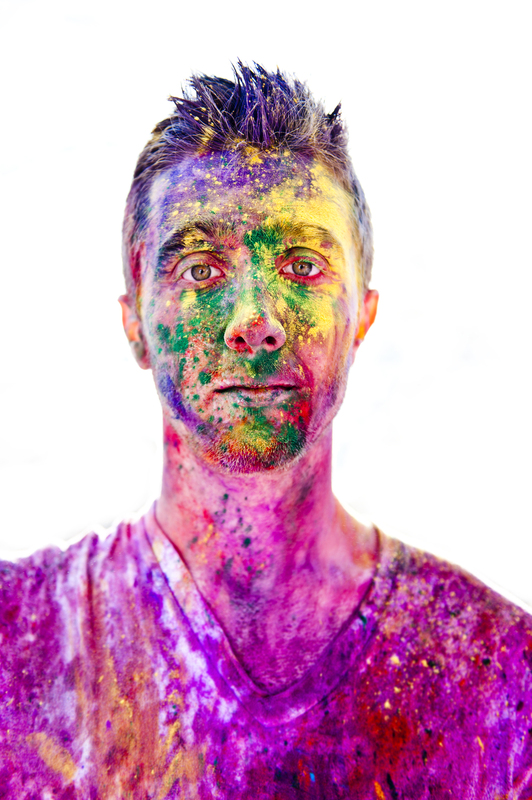 The mission of Holi Moli is to promote multiculturalism and diversity through the Hindu holiday of Holi. The funds from the event, which is put on by many campus organizations, go towards organizations such as the Bhutanese Empowerment Fund, the Mahatma Gandhi Fellowship, and Student Government's Student Enrichment Fund. 1. Don't Saran Wrap and gaff tape so much that you can't change your exposure. 2. If you are clean looking, people will attack you with massive amounts of dye no matter how large your camera. 3. The middle of the action is where the photos are every single time (even if you are testing your insurance policy). 4. Never waste time questioning whether or not you should shoot. Shoot for the sheer joy of it. Sometimes its hard for me to remember why I do this. I shoot for publications. I shoot for clients. I shoot for classes. I shoot for long term projects. But why do I shoot? Because I adore it with all of my heart. Getting into a visual situation with no real agenda reminded me of that. I decided to get creative with the natural light and shot this portrait a bit hot, letting the background blow out completely. Just an experiment.